Durnstein at dawn. Yes, it was cold. Not all travel goes according to plan. Pack clean knickers in your carry-on luggage. 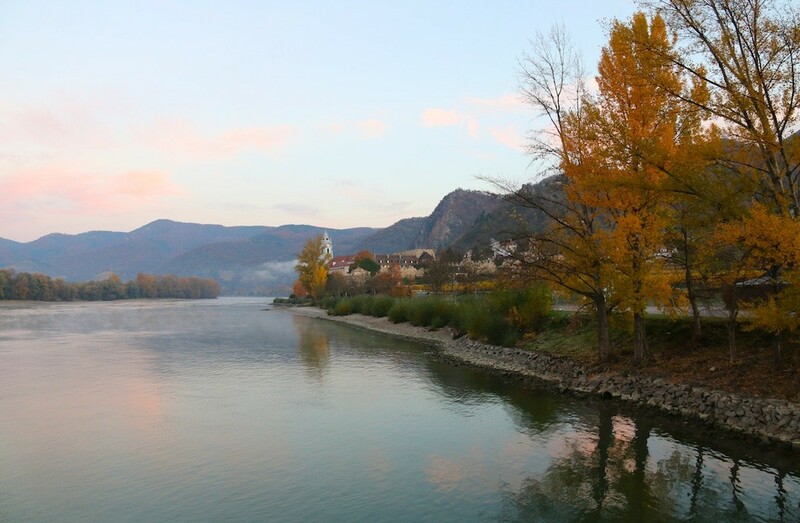 The Wachau valley and the Abbey at Melk – gorgeous scenery and over-the-top opulence. We see a demonstration of glass-blowing as we drift past mind-blowing scenery on to Miltenberg and the castle where Queen Victoria was conceived.